I loved it as soon as I saw it, but it took P to tell me what it was. She determined it to be an artist's bench. 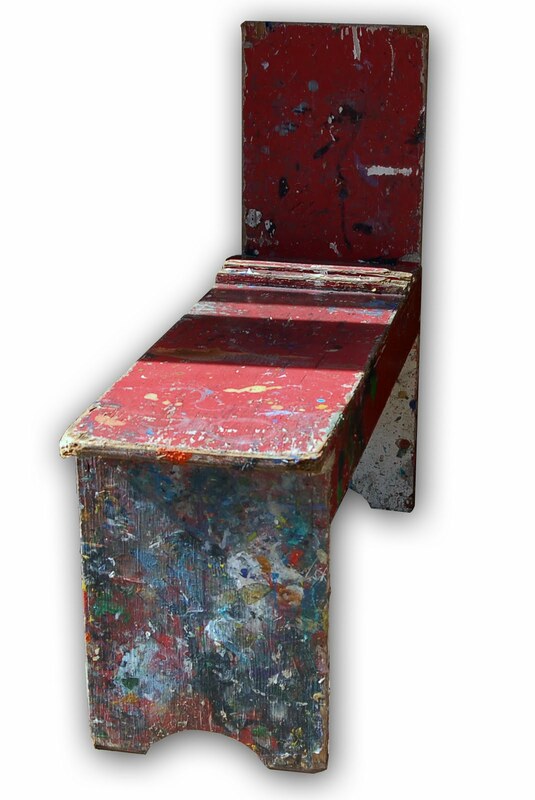 The back board serves as the easel with the two strips in front, barely visible, acting as the canvas stop. haven't decided whether to keep it or take it to Christie on Sept 11.